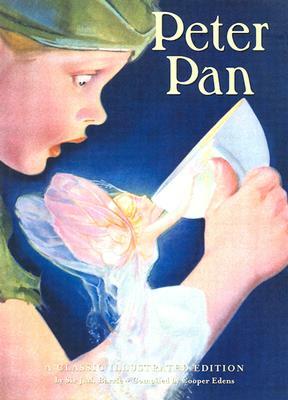 More than the memorable adventures of a young boy, an elfin fairy, and a swarthy pirate who gives new meaning to the phrase "right hook," Peter Pan is an enduring tale that speaks of magic and innocence, fair play and personal virtue. The timeless artwork of such masters as F. D. Bedford (the original illustrator), Flora White, Alice Woodward, Mabel Lucie Atwell, Arthur Rackham, and Gwynedd Hudson captures the classic story's dreaminess as it follows the adventures of the boy who wouldn't grow up. From the immortal Wendy and Tinker Bell to Captain Hook and the lost boys, make Neverland foreverland with this beautifully illustrated book that reminds the child in all of us how good it feels to fly.